Before we get into the details of who is required and who is not required to file income tax return, let us understand what is filing an income tax return and why is it required. If you are less than 60 years of age and your total annual gross income exceeds Rs. 2,50,000. If you are a senior citizen i.e. 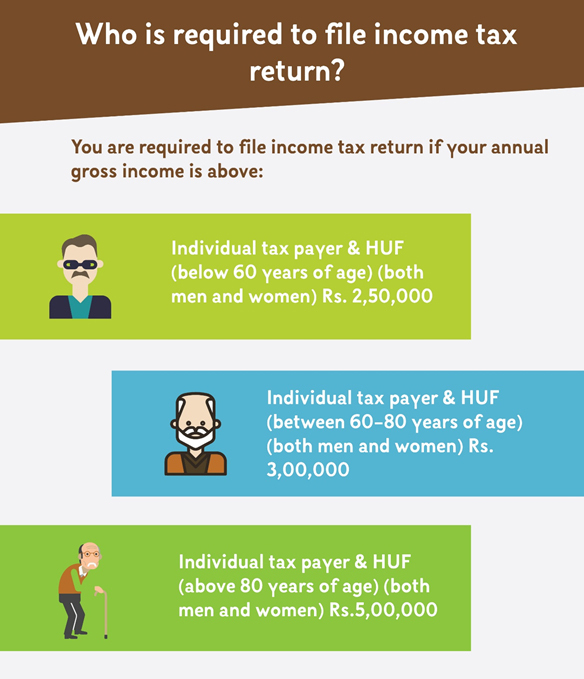 60 years or above and below 80 years of age, and your total annual gross income exceeds Rs3,00,000. If you are a super senior citizen i.e. 80 years or above and your total annual gross income exceeds Rs5,00,000. If you are a company or a firm, then irrespective of whether you have profit or loss, filing ITR for the financial year is a must. 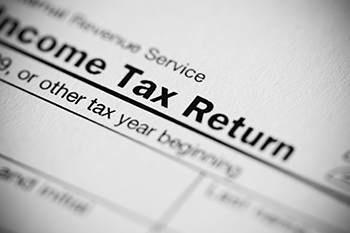 If you are looking forward to claiming a tax refund for the financial year. If you are an Indian resident and act as a signing authority for any foreign account. If you are an Indian resident and possess an asset or financial interest located outside India. If you have sold equity shares in a company or unit of equity oriented mutual funds or unit of business trust for more than Rs.2,50,000 and have gained tax-exempt long-term capital gains from the same. If you receive any income derived from the sale of a property which had been held under a charitable trust, religious trust, political party, educational institution, any authority, body or trust. If you are a foreign company which has been taking any treaty benefit on any transaction made in India. If you are an NRI (Non-Resident Indian) but if your total annual gross income earned or accrued in India exceeds Rs2,50,000. Even if you do not fall into any of the above criteria but are looking forward to avail any kind of loan, then you should file ITR. ITR filings are taken as valid income proofs and are often asked while opting for any kind of loan. If you do not file an ITR even after falling into any of the above criteria, you are subjected to respective penalties for the default. If you are required to file income tax return (ITR) then you can file it by following the mentioned procedure. With the above-mentioned details, you can file your Income tax return by logging in on the portal and filling in the relevant details. This process is simple and can be done easily in no time.